Vengeance on Varos will represent the Sixth Doctor's era next month in BBC America's Doctor Who: The Doctors Revisited celebratory season. A documentary entitled Doctor Who: The Doctors Revisited - The Sixth Doctor will air on Saturday 29th June at 7.30pm ET/PT, followed by an omnibus edition of the adventure, which was written by Philip Martin, directed by Ron Jones, and originally broadcast in two episodes in January 1985 as the second story in Season 22. The documentary will see Sixth Doctor actor Colin Baker, both his companion actors Nicola Bryant and Bonnie Langford, and current lead writer and executive producer Steven Moffat, among others, examining the Sixth Doctor's adventures and discussing his famous foes, including the universe's most slippery businessman, Sil, who made his first appearance - of two so far - in the story. The Doctor visits the planet Varos to obtain the rare ore Zeiton-7, vital to the functioning of his TARDIS. But Varos is a dangerous place, where rebels are tortured on live television and executions are used to win votes from the public. Trapped in the dreaded Punishment Dome, the Doctor and his companion Peri must fight for their lives - and save the starving population from the machinations of the villainous reptilian Sil. Sunday 2nd June sees the broadcast of the 1985 Colin Baker story, Attack of the Cybermen on Australian and New Zealand television. The story is presented as part of the 50th Anniversary season of Doctor Who on the UKTV channel. In New Zealand the story screens at 4:25pm and in Australia at 4:30pm. New Zealand has an additional screening on Monday 3rd June at 4:40am. While trying to fix the TARDIS's chameleon circuit, the Sixth Doctor returns to Foreman's Yard on Totter's Lane in 1985, where he meets his old enemies the Cybermen. Attack of the Cybermen was first broadcast in Australia in 1985. New Zealand did not get to see it until 1989. The story was originally screened in Britain as two 45-minute episodes, but was first broadcast in Australia and New Zealand in a four-part format. The UKTV transmission will feature the two-episode version of the story. UKTV is showing stories throughout the year in the lead-up to the anniversary in November. The stories due to be screened during June all feature Colin Baker's sixth Doctor. The schedule includes: Vengeance on Varos (9 June), The Mark of the Rani (16 June), The Two Doctors (23 June), Revelation of the Daleks (30 June). I only saw one episode of Doctor Who on TV, but I felt the character was unnecessarily harsh. I see him as a jolly old fellow – not sour at all! The Cyber-Planner: "I thought the coolest thing in the world would be writing Batman, and it absolutely was... until the point that I wrote Doctor Who." Neil Gaiman tells us about writing the recent episode Nightmare in Silver! And The Winnder Is... The votes are in for the 2012 Season Survey and the winners are revealed, including: Favourite Story, Best Director, Best Writer, and what was top of your wish list for the forthcoming 50th anniversary – as well as a chance to vote in our 2013 poll. Countdown to Destruction! The TARDIS takes the First Doctor, Vicki and Steven to a doomed alien world where a conflict rages between the survivors of two crashed spaceships, the Drahvins and the Rills in Galaxy 4. This overlooked serial from 1965 is the subject of this issue’s Fact of Fiction, which reveals new and fascinating facts about the production. Good Things: Doctor Who’s top man Steven Moffat answers questions from DWM readers, including how he times the length of episodes, and how would he feel about an American version of Doctor Who? Noble Companion: DWM’s journey through the history of Doctor Who reaches 2008 and the show's thirtieth series in Countdown to 50. Donna Noble becomes the Doctor’s travelling companion and together they encounter Sontarans, crazed Ood, Davros and Agatha Christie, and visit ancient Rome, parallel worlds, and the Shadow Proclamation. Youth Today! Chris, Emma, Michael and Will roll back the years when they sit down to watch The Lazarus Experiment from 2007. What will our trusty Time Team make of Professor Lazarus’ quest for eternal youth? Final Reckoning... The Promethians have won, mankind has been reduced to a state of barbarism and the Doctor and his friends Ian and Barbara are at the mercy of the Tribe of Gum. All hope is lost. Or is it? The Doctor has a plan, but is it already too late? Events reach a staggering climax in the sixth and final instalment of the epic comic strip adventure Hunters of the Burning Stone, written by Scott Gray, with pencils by Martin Geraghty. It's The End... Columnist Jac Rayner recalls how she helped her children face the reality of death – both fictional and in reality in this issue’s Relative Dimensions. The Reason We're Writin': The Watcher tackles the thorny subject of Doctor Who mispronunciations in A History of Doctor Who in 100 Objects; presents a Grecian themed challenge to readers with The Six Faces of Delusion; outs another hapless Supporting Artist of the Month; and goes Wild with a list of Top Ten Westerns. All this and more in this issue’s hilarious Wotcha! Here is an update on the current competitions running from Doctor Who News. In Dr Who and The Daleks, what is Ian Chesterton's lucky number? Please send the answer to the question to comp-movies@doctorwhonews.net with the subject line "Thal play! ", along with your name, postal address, and where you saw the competition mentioned (the news website, facebook, twitter, etc.). Only one entry will be accepted per postal address. This competition is only open to UK residents. As well as Doctor Who, Frazer Hines and Wendy Padbury also appeared together in Emmerdale Farm - what were their character names? Please send the answer to the question to comp-apocalypse@doctorwhonews.net with the subject line "Beckindale re-union", along with your name, postal address, and where you saw the competition mentioned (the news website, facebook, twitter, etc.). Only one entry will be accepted per postal address. This competition is open worldwide. The Doctor's arrival on sailing ships often leads to trouble: what was the name of the first such vessel in the series to suffer from such an encounter? Please send the answer to the question to comp-paradise@doctorwhonews.net with the subject line "Below Decks", along with your name, postal address, and where you saw the competition mentioned (the news website, facebook, twitter, etc.). Only one entry will be accepted per postal address. This competition is open worldwide. Planet of the Daleks is often loosely described as the second part of a longer story: name the novelisation of the preceding adventure. Please send the answer to the question to comp-potd@doctorwhonews.net with the subject line "I've Got The Power! ", along with your name, postal address, and where you saw the competition mentioned (the news website, facebook, twitter, etc.). Only one entry will be accepted per postal address. This competition is open worldwide. In recent years Nicholas Briggs has become the de-facto voice of several monsters in Doctor Who: name his original vocal 're-creation' for the series. Please send the answer to the question to comp-generation@doctorwhonews.net with the subject line "Benevolate! ", along with your name, postal address, and where you saw the competition mentioned (the news website, facebook, twitter, etc.). Only one entry will be accepted per postal address. This competition is open worldwide. The Harvest of Time features the Master as originally portrayed by Roger Delgado; this CD is narrated by a future Master, Geoffrey Beevers - in which story did he feature as the Doctor's old adversary? Please send the answer to the question to comp-harvest@doctorwhonews.net with the subject line "Don't touch any seaweed...", along with your name, postal address, and where you saw the competition mentioned (the news website, facebook, twitter, etc.). Only one entry will be accepted per postal address. This competition is open worldwide. A roundup of some of the independent publications that have recently been published or announced. St Mark’s Press has just released a new, unauthorised, single volume critical history of the programme: "Fifty Years in Time and Space: A Short History of Doctor Who". The author is Frank Danes and the cover is by Roger Langridge, whose work regularly appeared in Doctor Who Magazine. Frank is Head of English at King’s Ely school in England. He’s written Victorian Literature for Cambridge University Press and those of us with long memories may remember that he co-edited the fanzine Fendahl way back in the late 70s and early 80s. Fifty Years in Time and Space is a well-written, amusing and carefully researched guide. I was born in 1965 – on a Saturday, in fact, and just in time to watch ‘Galaxy Four’ episode two. Some of my earliest memories are of watching the programme: I remember my twin brother and I putting our hands over the screen when the Yeti appeared, prompting yells of ‘Get those twins away from the television!’ from my elder brothers. I’ve always been a Doctor Who fan even as I have become (in Terrance Dicks’ words) older, fatter, greyer, but not noticeably wiser. The book is available direct from St Mark's Press, or from Amazon, Galaxy 4, Who One, The Who Shop and other bookshops. In order to aid the celebrations of Doctor Who’s 50th anniversary this year, quite an epic-sized group of fans have come together from all over the world to build Celebrate Regenerate, a fan-made (non-profit and unofficial) book, filled with reviews and articles covering every televised story. At over 300 A4 pages, this doorstop of a book is packed with pieces from over 250+ fan writers, and we’ve even included some fanart too. To top it all, we’ve also bagged a few exclusive interviews with Series 1 director, Joe Ahearne; writer Tom MacRae, and writer Joseph Lidster which will be published alongside some other special features in the book. The project, now a year in the making, is set to be released on 13th July this year, well in time for the anniversary. We aim to simply add to the growing list of contributions from other fans and writers, and our goal is now to reach out to as many fans as possible to share our finished project. This is an non-profit, unauthorised and unofficial fan publication, and will be available for free for download in PDF format; it will also be possible to purchase a physical copy via lulu.com. For more details, visit the Celebrate Regenerate website and Facebook page. Coming in May 2014 from Obverse Books: Liberating Earth, an anthology of science fiction and fantasy written entirely by women, edited by award-winning Australian author Kate Orman. In Liberating Earth, rival cousins from the mysterious time-travelling Faction Paradox cult decide our planet should be freed from the human race and placed in better hands. As the cousins ruthlessly compete to create the perfect alternative Earth, history and reality change wildly again and again. Humanity is helpless. Or is it? SF and fantasy readers and viewers, especially women, are increasingly calling for more work by female writers. Stuart Douglas of Obverse Books has commissioned Liberating Earth in response to that demand. Editor Kate Orman was the first woman published in the Doctor Who: the New Adventures range of novels, eventually writing and co-writing a total of thirteen Who-related books, as well as publishing original fantasy and science fiction. Liberating Earth will be printed in hardback and ebook formats in May 2014. BBC Books have released details on two hardback publications to tie in with the 50th Anniversary celebrations this coming Autumn. "I'm the Doctor. I’m a Time Lord. I'm from the planet Gallifrey in the constellation of Kasterborous. And I'm the man who’s going to save your life." He's made a mark on almost every era of history, and he’s touched millions of lives across space and time. In these pages you'll find just some of the stories behind those brief encounters, each of them addressing the question that must never, ever be answered: "Doctor Who?" This is the story of an impossible life – of a man who borrowed a spaceship, travelled through time and continually saved the universe - as told by the Doctor's friends, by his enemies, and by the man himself. Letters, journals, trial records, secret government files and the occasional bit of tabloid journalism reveal the never-before-told story of Gallifrey's last Time Lord. Contributors to His Lives and Times include: Colin Baker, John and Carole E. Barrowman, Tim Berners-Lee, Nicholas Briggs, Jenna Coleman, Paul Cornell, Rusell T Davies, Peter Davison, Terrance Dicks, Neil Gaiman, Mark Gatiss, Waris Hussein, Bonnie Langford, Paul McGann, Steven Moffat, Matt Smith, Laila Ward and Marcus Wilson. Drawing on unseen and iconic material from the BBC archive and private collectors, The Vault is an unforgettable journey through 50 years of Doctor Who, via carefully selected photographs, props, costumes designs, production memos, letters, scripts and more. longest running science fiction series, Marcus Hearn explores the show’s groundbreaking innovations as well as its impact on popular culture through books and comics, magazines and toys, merchandise and ephemera. The Vault is a collector’s dream, and the ultimate celebration of Doctor Who. The colony has been plagued by problems and there are stories of mysterious creatures glimpsed aboard the Wheel. Many of the younger workers refuse to go down the warrenlike mines anymore. And then young Phee Laws, surfing Saturn’s rings, saves an enigmatic blue box from destruction. 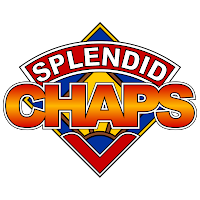 Details announced of Splendid Chaps: "Six/Clothes"
Described by its creators as part intellectual panel discussion, part nerdy Tonight Show, Splendid Chaps is a combination of analysis, enthusiasm and irreverence. The first episode went to number 1 on the iTunes TV & Film Podcast chart in Australia, and to number 4 in the UK. The podcasts to the first few episodes are now available at www.splendidchaps.com or at iTunes. Tickets are now on sale for their 6th Doctor show! Their sixth outing discusses the sometimes controversial Sixth Doctor, played by actor Colin Baker. Better known for playing villains and bullies – including Time Lord Commander Maxil in the Peter Davison story Arc of Infinity - Baker dug into the character’s past, bringing back some of William Hartnell’s arrogance and pomposity in order to offer a different take to his good-natured predecessor. It was a turbulent time to become the Doctor, though, as the show was suspended for 18 months, put on trial by the powers that be, and finally forced to make drastic changes – including firing the lead actor. Most people, of course, remember Six for that outfit, and so this episode the Splendid Chaps discuss Clothes. Few programs have as broad-ranging a costume design remit, with new worlds, eras and civilisations needing to be created every week. Not to mention that an eccentric Time Lord and his companions need to find clothes that are practical in any situation, from soulless steel corridors to rocky alien landscapes, polar caps and the inside of volcanoes. Oh, and they need to be fashionable in any era… It’s a big ask, and as The Discontinuity Guide reminded us, there were fashion victims as well as triumphs. Hosts Ben McKenzie, John Richards and Petra Elliott are joined by writer and podcaster Tansy Rayner Roberts (Galactic Suburbia, Verity), and another guest to be announced soon. There will also be a special musical performance, prizes, surprises – and a fashion show! Yes, and Splendid Chaps want to see your best cosplay and Doctor Who related sartorial creations – and there will be prizes on offer. Accessibility: Regretfully this venue is not wheelchair accessible. Podcast: not yet available; released 23 June 2013.